A portion of the main exercise yard and a detention ward are seen Tuesday, June 30, 2015, at Silverdale Correctional Facility in Chattanooga, Tenn.
Jonathan Burns, CCA director of public affairs, made these comments on Aug. 22: We value our partners, and we will continue to work with them, both through the types of management solutions we've provided for more than three decades, as well as new, innovative opportunities we've been exploring in recent years in a proactive effort to meet their evolving needs. For example, our real estate-only solution helps government deliver needed facility space in a cost-effective manner while providing its own staffing and management services. We've also greatly expanded our residential re-entry offerings, which help inmates prepare to successfully return to their communities. In fact, this spring we won a re-bid of a Federal Bureau of Prisons (BOP) contract for these critical services. It's important to note that today's announcement relates only to BOP correctional facilities, which make up seven percent of our business. The Inspector General's report used to buttress this decision has significant flaws. The report's authors freely admit that they "were unable to evaluate all of the factors that contributed to the underlying data," and they failed to account for the impact of elements such as population demographics or the scope and efficacy of efforts to mitigate contraband. The findings simply don't match up to the numerous independent studies that show our facilities to be equal or better with regard to safety and quality, or the excellent feedback we get from our partners at all levels of government. The DOJ memorandum relates only to CCA's BOP correctional facilities, none of which are in Tennessee. POLL: Should the U.S. stop contracting with private prisons? Hamilton County officials say they'll have to wait and see whether the U.S. Department of Justice's decision to phase out use of private prisons will affect the county's contracts to house federal prisoners at its privately managed Silverdale facility. A federal official announced the decision Thursday, saying an audit showed private facilities have more safety and security problems than the government-run prisons, The Associated Press reported. "Private prisons served an important role during a difficult period, but time has shown that they compare poorly to our own Bureau facilities," Deputy Attorney General Sally Yates wrote in a memo to the acting director of the Federal Bureau of Prisons. As private prison contracts come to an end, the bureau is not to renew the contract or should at least "substantially" reduce its scope, Yates wrote. The Justice Department announcement also said the federal prison population has been declining because of changes in sentencing policies over the past three years, reducing the need for private prisons, the AP reported. Hamilton County now is housing around 120 prisoners under a federal contract. Of that number, 13 are housed at the county jail downtown at a rate of $70 a day, said Mike Compton, chief of staff to County Mayor Jim Coppinger. Another 109 are at the Silverdale Detention Center, owned by the county and operated by Corrections Corporation of America, the fifth largest U.S. private prison operator. The county takes in $48.11 a day for each federal prisoner at Silverdale. But Compton said the federal contract is with the Hamilton County Sheriff's Office, not CCA. That could mean the phase-out would have no local effect. "We're looking into it," he said. Any potential hit to the county's wallet would be limited to the revenue generated by the federal prisoners, he added. County leaders don't share Yates' feelings that private prisons have more security problems or lesser quality than publicly owned ones. Nashville-based CCA got its start here, landing its first contract in 1984 to manage the Silverdale contract, and has held onto it ever since. It now owns nine facilities in Tennessee and five in Georgia and operates in 20 states. CCA operates four prisons of the Tennessee government's 14 state prisons, either under direct contract with the state, like South Central Correctional Facility, or by contracting with counties that strike agreements with the state to house inmates. The other prisons are Hardeman County Correctional Facility, Trousdale Correctional Facility and Whiteville Correctional Facility. Now the county is looking at proposals from CCA and two other private operators, GEO Group Inc. and Emerald Companies, to build and operate a 1,600-bed jail at the Silverdale site. Coppinger said there's been no definite decision to go with a private operator, but he believes it would save the county millions in up-front construction costs and in operating costs later. "We've had a successful public-private partnership over the last three decades, and we have saved the taxpayers of the county millions of dollars," he said Thursday. And Tennessee Department of Correction Commissioner Tony Parker said the department is "satisfied" all is well with CCA in Tennessee. "While I have no direct knowledge of the specific circumstances surrounding the Deputy Attorney General's directive, this decision does not unilaterally affect prison operations for Tennessee," Parker said in a statement Thursday. 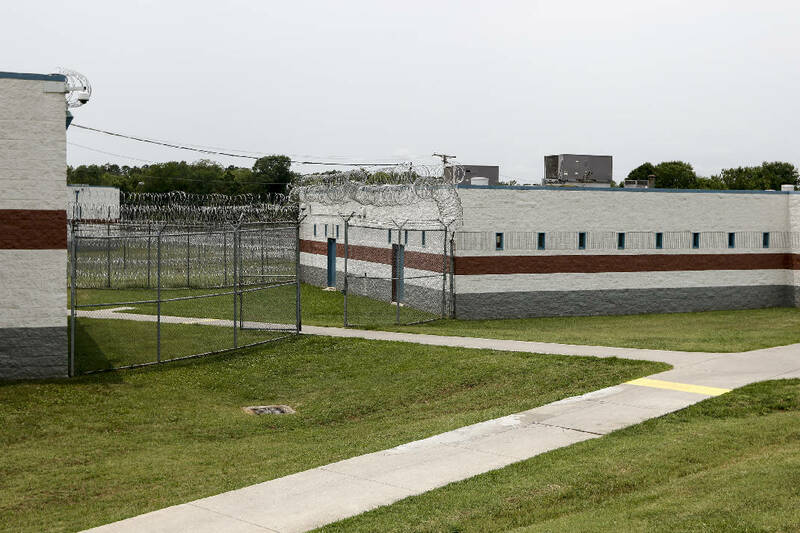 "Currently, the Department of Correction is satisfied that CCA-managed facilities are being operated in accordance with state policies and Correctional Standards. TDOC has many policies and procedures in place for monitoring and inspection of all of our prisons, including the privately managed facilities. The CCA-managed facilities are held to the same high standards as all of the TDOC-managed facilities." But critics of private prison operators say the savings may come at the expense of prisoner safety, quality of care, and living-wage jobs for corrections officers. Some also say the millions the private prison industry has spent on lobbying and campaign contributions have led state and U.S. lawmakers to expand criminalization to keep those facilities full. Private prison opponent Alex Friedmann, a writer and an editor of Prison Legal News, told NBC News in 2011: "Literally, you can put a dollar figure on each inmate that is held at a private prison," he said. "They are treated as commodities. And that's very dangerous and troubling when a company sees the people it incarcerates as nothing more than a money stream." The AP reported the federal government started to rely on private prisons in the late 1990s due to overcrowding. As of December 2015, private prisons held more than 22,000 prisoners — or about 12 percent of the total federal prison population, according to an inspector general report released earlier this month. Many of the inmates were being held on immigration offenses, the audit said, according to the AP. The AP also said stock in the Big Three private prison operators — CCA, GEO Group and Management and Training Corp. — plunged in midday trading after Yates' announcement. CCA dropped $13.22, or 48.6 percent, to $14, and Geo Group tumbled $13.80, or 42.7 percent, to $18.49. Both companies get about half their revenue from the federal government, according to the AP. Staff writer Andy Sher contributed to this story.